You're reviewing: Office 2016 Home & Business For Mac. Microsoft’s latest addition to its amazingly productive and useful software suites is the Office 2016 Home and Business edition for Mac. Now you can get more done with the latest applications perfectly in sync with your productivity goals. Microsoft Office 2016 for Mac is designed to help you create, communicate, publish and collaborate documents, spreadsheets, presentations and manage your calendar, contacts and emails efficiently. The thoughtfully designed latest Office 2016 Home and Business suite is the perfect tool for a vastly improved user experience and seamless integration for Macintosh users. What’s all in the package? 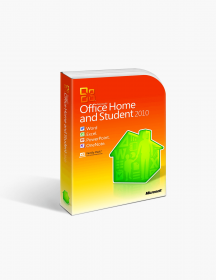 Built for Mac – The previous generation Microsoft Office editions were advanced and with the 2016 Office, Microsoft has further improved the most trusted and favourite software suite. Now you can easily use all applications and advanced features of the Office 2016 and view documents in full screen view with Retina display. This version is updated to help users take advantage of the Macintosh software and hardware capabilities fully. Combining the simplicity of familiar keyboard shortcuts coupled and nifty enhancements in the overall package, Office 2016 is hands down he most compatible suite for Macintosh OS till date. Professional Quality – Microsoft has always been world renowned for robust and reliable productive tools for both home, small businesses and enterprises. With the latest Office 2016 suite for Mac, you get the power to create, publish and share professional-looking documents with high quality reviewing, edition and sharing capabilities. With the latest design tab and insights pane features, using your trusted productivity tools has become even more intuitive and pleasant. More on the Move – Like a truly flexible, well-polished and professional software suite, Microsoft Office 2016 comes with integrated OneDrive cloud storage integration that allows you to carry your productivity with you anywhere you want. Whether you are at home, work or working remotely, Office 2016 lets you achieve more with its fully loaded features and built-in collaboration tools. 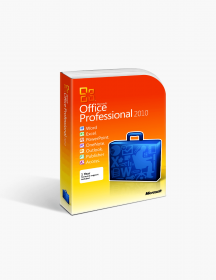 Best of Office – Be it Word, Outlook, Excel or PowerPoint, Office 2016 Home and Business suite for Mac lets you do intensive as well as extended tasks for longer and gives you the right tools to get more work done easily and quickly. Whether you are creating professional documents or performing complex statistical calculations, you can experience and use the best of Microsoft Office for Macintosh. 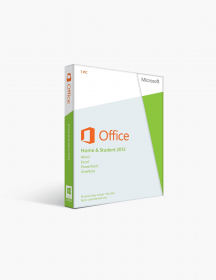 Manage Better than Before – The Office 2016 Home and Business edition for Mac comes with all the core Office applications as well as with the latest version of Microsoft’s amazing email, calendars, contacts and tasks manager – Microsoft Outlook. Now you can easily manage your emails with push support and respond to communications at home or at work in groups and messages. As a Mac user, this suite will also allow you to view your calendars side-by-side for better planning of your professional or personal schedule and time. Why buy the Microsoft Office 2016 Suite for Mac? 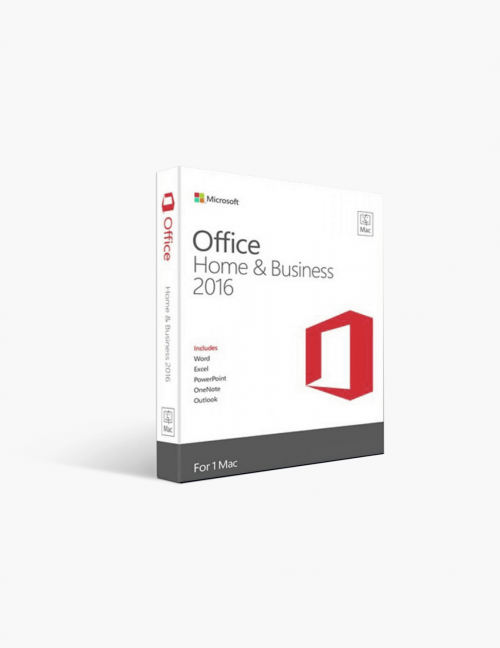 Amazing Value for Money – It is no surprise that the applications, features and tools which the Office 2016 Home and Business edition offers is complete bang for your buck. Apart from the cutting-edge core Office applications, Macintosh users can take extra advantage of the new design, insights feature, full screen view and state-of-the-art reviewing, editing and authoring tools make it a must-own upgrade for home as well as business uses. Multi People Functionality – Another great advantage of the Office 2016 Home and Business suite for Mac is the built-in support to turn personal documents into collaborative resources for a team or workforce. Now you can use your professional files for sharing with others with OneDrive and achieve more together. With the latest edition, you can easily synchronize your files with Microsoft Outlook 2016, OneDrive 2016 and OneNote 2016 with your Macintosh computer. Reliability and Flexibility – Microsoft has been synonymous with advanced technological software suites which have been utilized by the biggest names in business across the globe for faster computation and enhanced productivity. With their latest Office 2016, the reputation and quality is the same as you get access to a completely secure and reliable software for your Mac at work or at home. These are minimum system requirements for installing Office 2016 Home & Business For Mac.